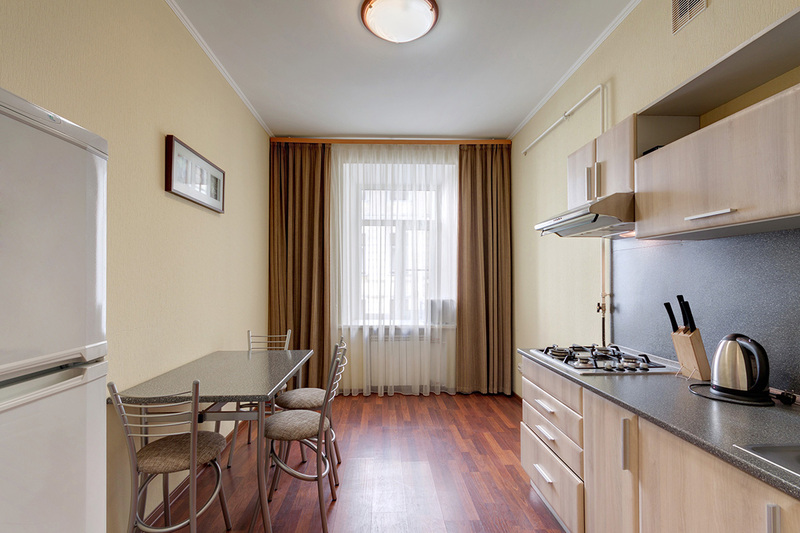 All flats are situated on the second floor of 5 storied building, windows face the quite and cozy inner courtyard. 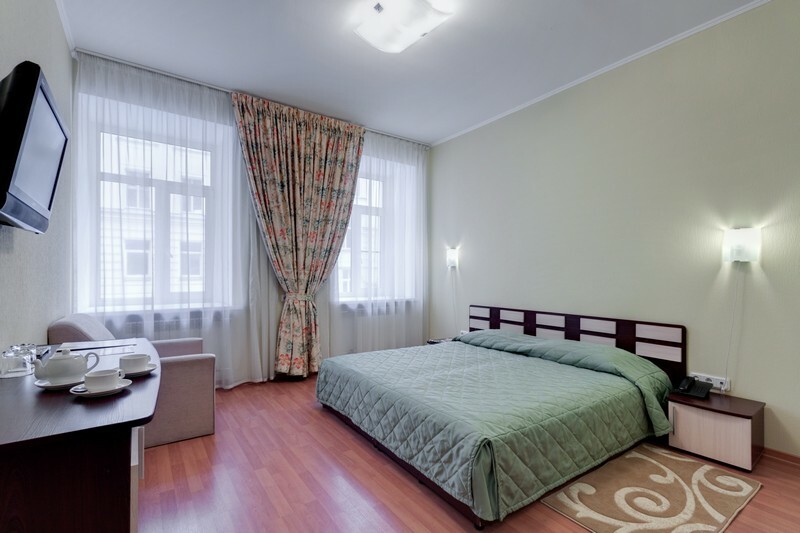 — The bedroom features 1 double bed or 2 single beds, a wardrobe, a desk, a soft armchair, flat-screen TV, ironing facilities, safe. 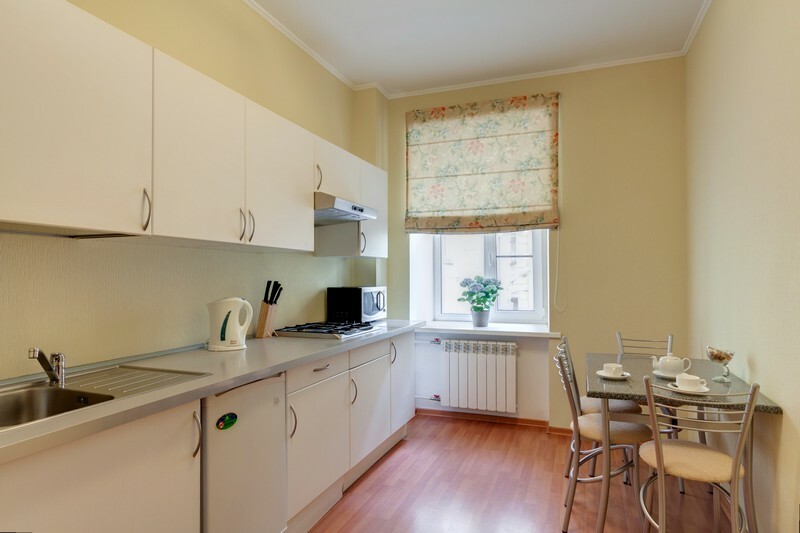 — The kitchen features a cooker, refrigerator, electric kettle, microwave, kitchenware, table, chairs. 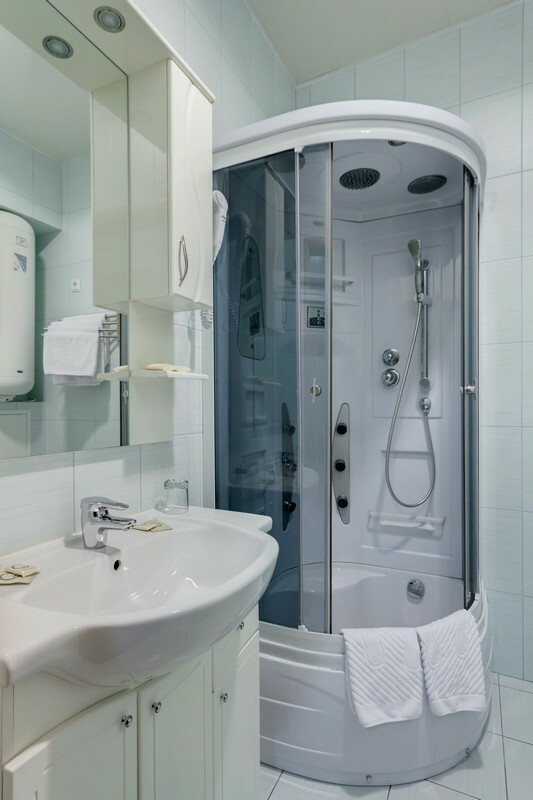 — Bathroom features shower cubicle, hairdryer, toiletries, slippers.